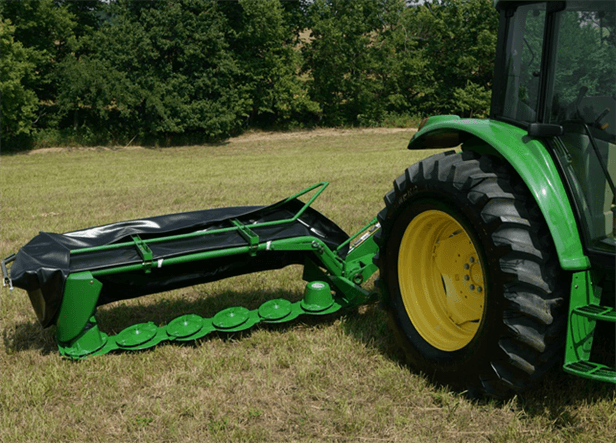 Frontier Disc Mowers are available in a wide variety of cutting widths to match your operation. Frontier Disc Mowers are backed with a one-year warranty and the best dealer network in the industry - John Deere. The cutter bar on the DM1140 can be equipped with a manual crank.